So you went out and bought a great pair of work boots this year. They’ve been reliable all year long, getting you through more mud and rain than you’ve ever seen in your life. Once the temperatures drop, your work footwear could use a boost. Just as you need to dig out the winter box and start wearing a hat and gloves, your work shoes need some extra attention, too. They have to face snow, sleet, and even salt in the upcoming months. Sure, they’ll keep you protected like they always have, but taking the time to ensure their exteriors are maintained with proper conditioning and waxing can be the difference between soggy and dry socks. Different materials need different treatments. Suede boots require sprays, while lightly-colored leather uppers need light creams. If your men’s or women’s boots have a smooth leather finish, then beeswax is what you’ll want to use. Some heavy duty work boots actually could use mink oil, though this isn’t too common. Leather can get damaged by water if it’s left out in the rain, and even if the leather footwear has a DWR (durable water-resistant) finish – that can wear off over time. Any water that starts to seep in can dry and weaken your waterproof boots and ultimately destroy any weatherproofing you once had. It’s important to maintain your water-resistant footwear so that it can keep protecting your feet from outside wetness. Before you start any kind of treatment, make sure the work footwear is broken in well. Remove the laces if you’re doing a leather treatment. Using a stiff brush or cotton rag to wipe off any dirt and mud – and don’t forget those tricky areas on the tongue that tend to have grime build-up. There are conditioning cleaners on the market, and these are excellent at moisturizing the rough material. With this, you rub it in as you clean, then wipe it off when you’re done. It’s kind of like putting on hand lotion – it works into the women’s and men’s footwear to make it more pliable while adding moisture. Prior to applying a waterproof finish, put on a seam-seal if you’d like. This will give you drier feet, while also providing additional reinforcement between the soles and the uppers. Sealants like this can go on any stitched seams in a clean, consistent bead along them. Oil treatment is excellent for new boots, as it softens and breaks them in faster. If you just purchased work shoes and would like to condition them right away, this is an option for you. Otherwise, you can begin treating your trusty, old work boots to make them long-lasting. If you’re using a wax treatment for smooth leather finishes, don’t heat up the wax. Just apply several thin coats. Silicone spray treatments work great for both leather and synthetic boots, but take note that this won’t last as long. Be prepared to apply several coats throughout the winter season if you utilize this. Be sure to evenly distribute any of these treatments, and pay special attention to seams. Once you’ve evenly applied wax, oil, or spray, allow your footwear to cure overnight. Place them in a sunny area to let the treatment soak in and avoid putting them by heaters or vents; that may make them too dry. The more they can dry in natural sunlight, the better. When you check on them the next day, they shouldn’t feel sticky. If they do, the treatment hasn’t cured quite yet, so give them a little more time. After they’ve dried, you’re good to go. Feel free to repeat this entire process if they ever start to dry out again. 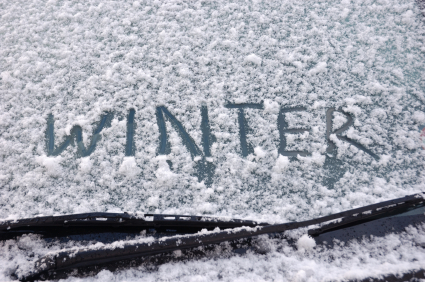 Your winter jacket and work coveralls could use a little preparation as well. Just take 5-10 minutes to make sure all of your winter gear is ready to help you venture out into the cold. Test all zippers, clasps, buttons, and Velcro adjustments to see if anything needs repair. Don’t forget the drawcords at the waist hems of your work jackets, inside ankle cuffs, as well as within certain hoods. Some hoods are hidden in the collars of work coats – if they can snap on and off, remember to make sure it is snapped on before leaving for the workday. Aftermarket water-repellency can be added to some work jackets and snow pants, so you can increase the protection your workwear has to offer. Check all of your work gloves, wool hats, and even your socks for holes. The sooner you go through your workwear, the sooner you’ll be prepared for freezing weather conditions. Replace and repair any of these as needed. With all of this winter workwear, follow directions carefully for washing and storing. Some require dry clean only, while others need to be washed in warm water, but can’t be tumble dried. Make sure to follow the instructions on the tag of the clothing in question. With these helpful tips, your work footwear and workwear will last longer and provide you with the greatest coverage they possibly can. You can wipe down your work boots to keep them looking great and there will come a time when you’ll be glad you remembered to snap your hood back onto your coat! Next articleDon’t Forget to Take Care of Your Feet!